A 4.5k sf retail and showroom property in Newport Beach was acquired by a high net worth investor for $6.4 mil, or $1,422/sf. The property, consisting of two single-story buildings, is located at 2510-2530 West Coast Hwy. 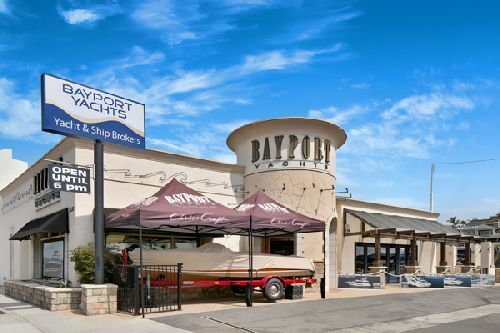 It is fully leased to Bayport Yachts. The property currently serves as the retail building and showroom for the yacht dealership, a tenant since 2001. The site is situated along the Pacific Coast Highway, offering prominent signage to approximately 50,000 cars passing by daily. CBRE’s Anthony DeLorenzo, Gary Stache, Doug Mack and Ross Bourne represented the buyer and the seller, Shafer Family Trust, in the transaction.